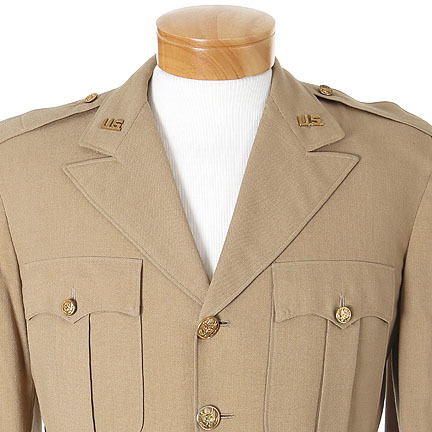 This class “A” khaki military tunic was worn by “Officer Michael Kent” portrayed by actor Lee Bowman in the 1945 comedy, “She Wouldn’t Say Yes”, which co-starred Rosalind Russell as “Dr. Susan Lan”. 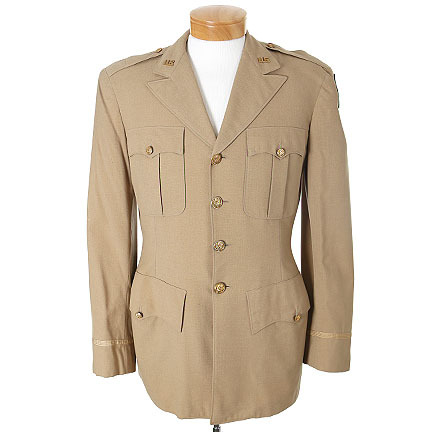 The tunic was custom made for the production by “Macintosh ‘Studio’ Clothes” and the original label is sewn inside the coat pocket and includes the actor’s name, “Lee Bowmon” (sic), the date “Feb ‘45”, and the wardrobe number “19008”. 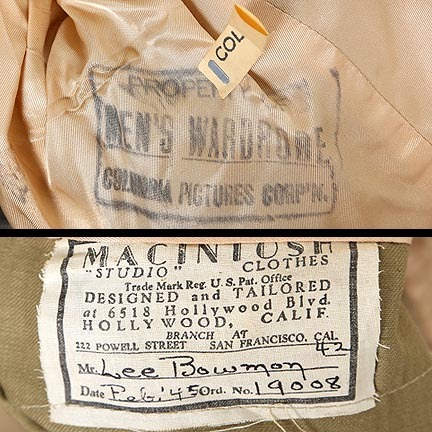 A studio stamp is located within the inner right sleeve with “PROPERTY OF MEN’S WARDROBE COLUMBIA PICTURES CORP’N” in black ink, and a tag with “COL” stapled to the lining. 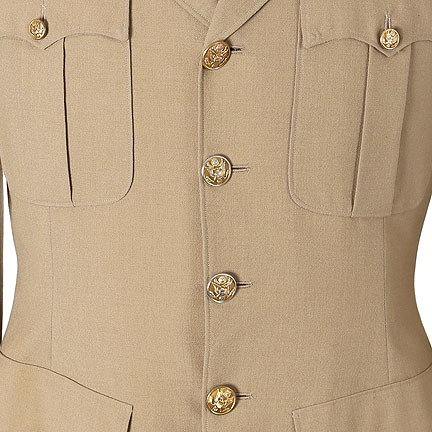 The original buttons were replaced, and the shoulder “War Correspondent” rockers were removed for use in a subsequent production. 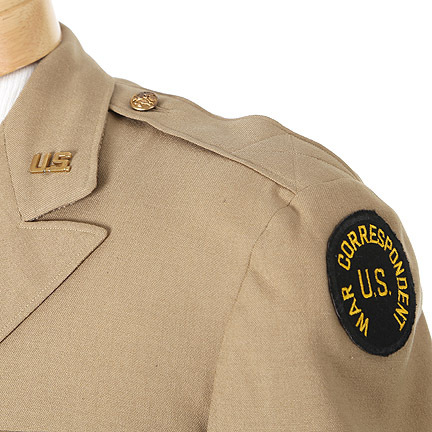 *For display purposes, the tunic includes two “U.S.” lapel pins and a “U.S. 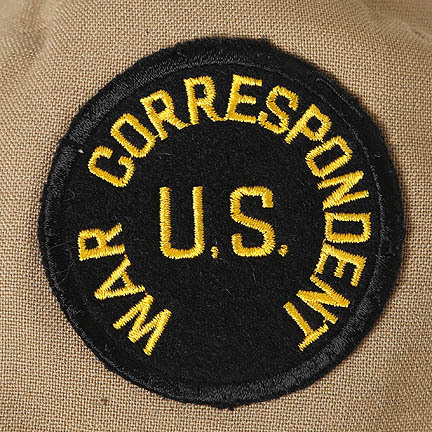 War Correspondent” patch on the left arm. Mr. 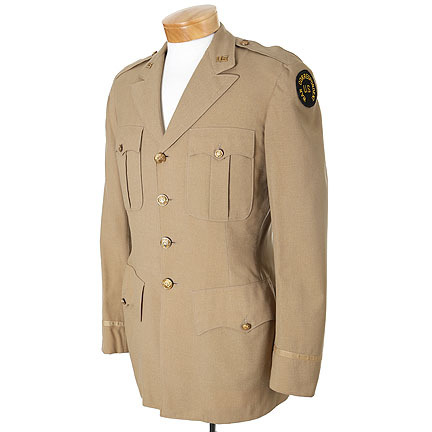 Bowman wears this tunic throughout the film and is initially seen at the train ticketing office when Officer Michael Kent opens the door and accidentally hits Dr. Susan A. 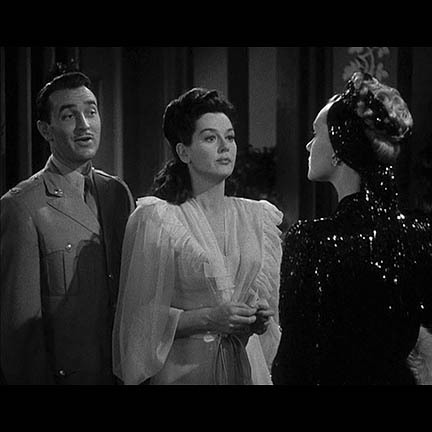 Lane (Rosalind Russell) causing her to fall down. Kent awkwardly tries to help her up and keeps injuring her. Directed by Alexander Hall, this screwball comedy tells the story of Dr. Susan Lane, a talented psychiatrist who encourages self-control. 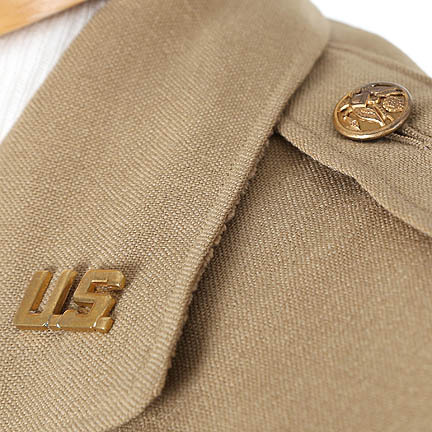 While treating war veterans, she disapproves the comic strip “Nixie” written by Officer Michael Kent, which promotes impulsiveness. 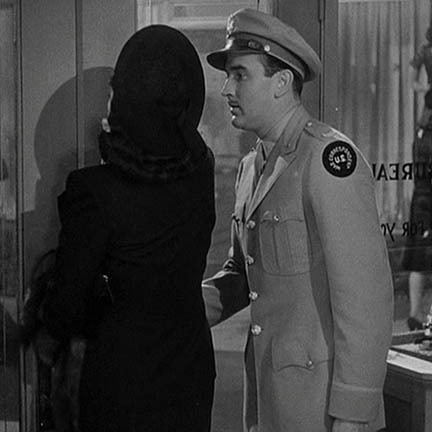 By chance she literally bumps into Kent and dislikes him from the start. 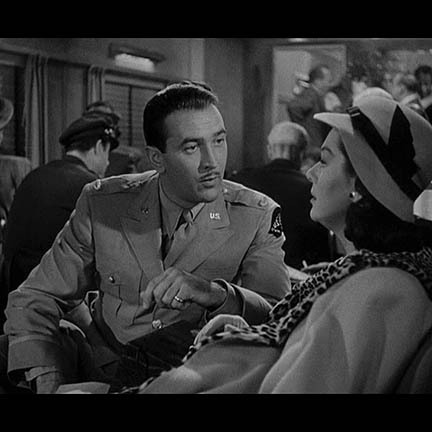 He pursues her and develops a plan to marry her, while she counters with a plan of her own, utilizing a blonde bombshell to try and distract him. 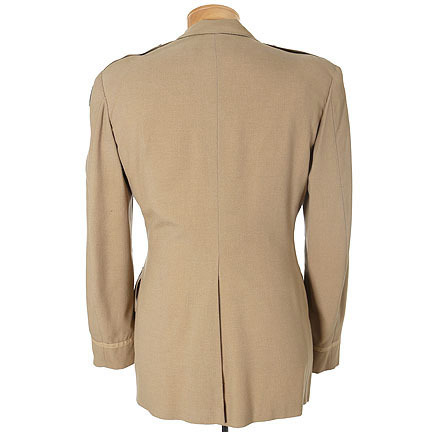 This item is in excellent screen worn condition and is accompanied by a certificate of authenticity.